Deb is currently the Manager of the Front End and Customer Satisfaction for Cub Foods. Having worked for 36 years in the business, she has spent time in many areas of a Cub store. Her involvement with the Miss Minnesota system began when her daughter Caitlyn first competed in 2010. Caitlyn went on to become Miss Heart of the Lake 2011. The Miss Minnesota program offers so much for young women. The skills, experiences and friendships they learn are invaluable in life and help define the woman they become. The scholarship money doesn’t hurt either. Golfing, camping and most importantly, spending time with her family are ways that she spends her free time. 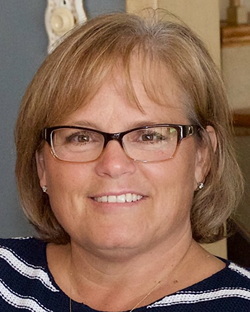 Deb also enjoys volunteering in the community having been a Girl Scout leader for 11 years, boxing food at Second Harvest Heartland food shelf and working to raise funds for the United Way. Deb has been married to John since 1983 with 2 children Andrew and Caitlyn and the baby of the family; Sadie; a Cavalier King Charles Spaniel.